Bracelet can be created with finger weaving or using our JE203 EZ Looper (sold separately). Wear with pride! 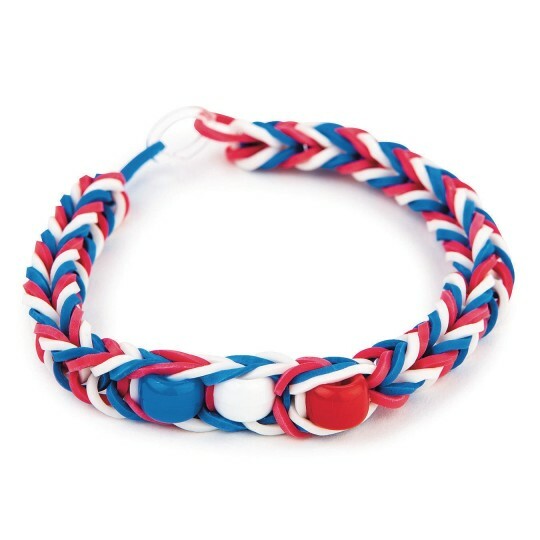 Make 48 patriotic red, white and blue rubber band bracelets. Easy to make, fun to trade! 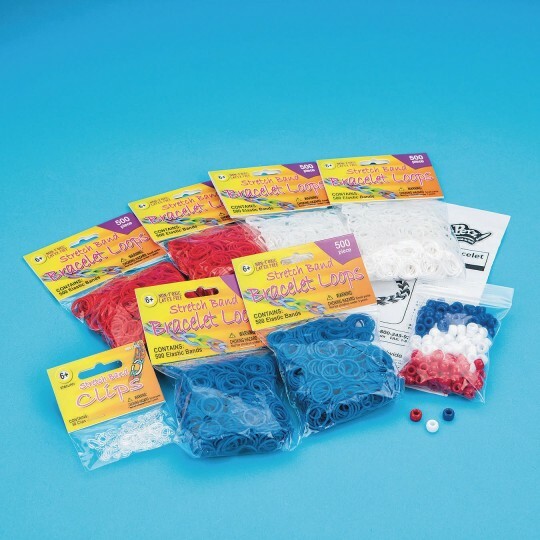 Kit includes 3,000 rubber bands, 150 pony beads, 50 clips and instructions. Bracelet can be created with finger weaving or using our JE203 EZ Looper (sold separately).